While updating my Hess Trucks lens yesterday, I noticed something strange. Most of the eBay modules showed no search results. No listings means nothing for a visitor to click and potentially buy on eBay. That’s not good if you like earning commissions. I copied the search criteria from one of these modules directly into eBay’s search tool and got a “Your search returned 0 items” message. That was followed by another message, “Search using the wildcard symbol (*) is no longer supported.” What!? That’s right, eBay got rid of wildcard searches. To clarify, eBay took away a useful and powerful tool for shoppers to find the specific items they’re interested in buying. Brilliant! If I had stock in eBay, I’d consider selling it. How can lensmasters (and eBay shoppers) replace wildcards in our searches? You’ll need to build a new search query to find listings you want displayed in your eBay modules. Read eBay’s advanced search engine options page for info on constructing search queries. Test your new query on eBay. When you’re satisfied with the results, update your module and republish the lens. In my case, I had used the wildcard to find items from a specific decade (e.g. 198* for trucks from the 1980s). So I replaced 198* with a Boolean OR search. Using eBay’s syntax that search is now (1980, 1981, 1982, 1983, 1984, 1985, 1986, 1987, 1988, 1989). It’s ugly but it works. If your new query is long (my query above went from 4 to 51 characters), you might have to break up your listings into multiple modules due to eBay’s 100 character limit on search queries. The important thing is to check your eBay modules now and replace any wildcards. The HMS Bounty was the first tall ship I ever toured. I was a kid, maybe 8 years old, and was thrilled at walking on the deck of a sailing ship. That sparked an interest in me and I’ve enjoyed seeing and touring many tall ships since then. You never forget your first, and touring the Bounty is an experience that I often think of when working on my tall ship related lenses. The HMS Bounty was lost at sea two days ago during Hurricane Sandy. 15 of her crew were rescued by the Coast Guard. One of them was unresponsive and later died. Her captain is still missing. I pray they find him soon and my condolences go to the family of the deceased crew member. Image credit: Magic Madzik, used under Creative Commons. While driving home recently, I spotted a stick figure family sticker on the car in front of me. Only this was different. The stick figures were running. At the next stop light I realized they were being chased by another stick figure in a hockey mask wielding a chainsaw! Underneath were the words, “Nobody Cares About Your Stick Figure Family”. I laughed. It was the comic relief I needed driving home from a long day at work. A few days later I saw a zombie version like the one pictured. 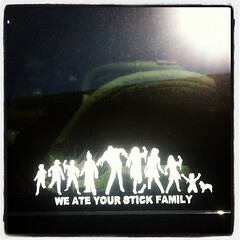 Stick family stickers were kinda cool when they first came out but now it seems that every other car has one. These “nobody cares” anti-stick family stickers are a funny way to tell the world that the stick figure family trend has reached its peak. What lens ideas have you gotten while sitting in traffic? Image credit: darinrmcclure, used under Creative Commons. Last month Squidoo abruptly retired the Flickr module because Flickr appeared to be blocking most of their images from loading on Squidoo lenses. Squidoo HQ and several lensmasters tried to get Flickr’s technical assistance on this with no success. I’ll miss the Flickr module. It had some shortcomings but was an easy way to add good photos to lenses. It was also helpful in generating click outs and getting traffic from image searches. I understand and agree with Squidoo’s decision to retire the module, but the way they did it was horribly executed. The retirement decision was announced on June 15 with no date given for when it would go away. The module disappeared from public view 3 days later. That doesn’t count as good advance warning for lensmasters to prepare and make changes before the module went away. In the announcement, HQ said that, “When the module goes away there’s nothing you have to do. It will simply disappear from your lenses.” They got that half right, it did simply disappear. But there’s lots that this sudden disappearance required lensmasters to do if they were using the Flickr module. Depending on how you used it, a disappearing Flickr module could mean anything from losing a few non-essential images to your lens morphing into an empty site because the bulk of your content went missing. For anyone that wrote text in their Flickr modules, this module retirement was devastating because that text also disappeared from your viewable lens and the sight of the search engines. I had some lenses in that latter category. Worst hit were my tour an aircraft carrier, tour a battleship and sail a tall ship lenses. All of them used a Flickr module for nearly every ship featured. Each module had images and all of my written info for that ship in it. When the Flickr module disappeared, so did the content for those lenses. Fortunately, I saw the announcement that the module was gone from view and was able to add Text modules and copy the content into them within a day of the Flickr modules disappearing. The lenses didn’t have many images, but at least the written content and links to the ships’ websites were available. If I’d been on vacation, those lenses would’ve been sunk. What should Squidoo have done instead? Communicated the date when the module would be retired and no longer publicly viewable. This is one of the original Squidoo modules, used nearly 400,000 times according to the Add Modules tool. How could HQ not give lensmasters a date and time to prepare for its retirement? Makes no sense to me. Modified the module so that the images and their links wouldn’t display but the module’s text would still display. That would’ve given lensmasters time to adjust without taking away our content overnight. The module already had the ability to not display a selected image if it didn’t have an appropriate Creative Commons license. This filter could have easily been modified to not display all images. This is a good reminder of why it’s important to back up your lens content (something I don’t do but should start). The wording of the June 18th announcement sounded like HQ considered deleting all of the content in the Flickr modules before they realized how many people had written content into them. That would have been disastrous. Farewell, Flickr module, you’re already missed. How did the Flickr module retirement affect your lenses? Are you still making changes because of it? Image credit: simminch, used under Creative Commons. I’ve been a fan of throughglasseyes‘ tall ship lenses for a long time. This week I found her lens on visiting Tasmania, Australia, where she lives. Margaret writes about many of the unique places and things this beautiful island has to offer. 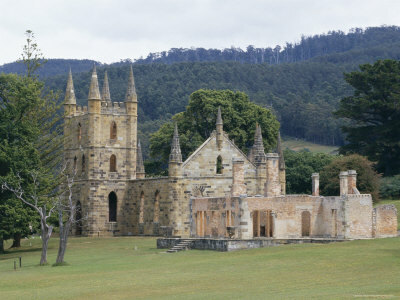 She shares her favorite Tasmanian sights and the reasons why she fell in love with the island. There are plenty of her own photos to share the island’s scenery. Some were taken from the deck of a tall ship, the Lady Nelson, that she sailed on. Opening day of baseball season is just over a month away. That means fantasy baseball players have started joining leagues and preparing for their drafts. A fun way to impress your league-mates is with a fantasy baseball t-shirt. I searched through lots of different baseball shirts. This lens features the best and funniest that I found, including some shirts and onesies for the kids so they can share the fun with their parents. These t-shirts also make a cool gift for your favorite fantasy baseball player. Yesterday was my 6th Squidiversary on Squidoo! 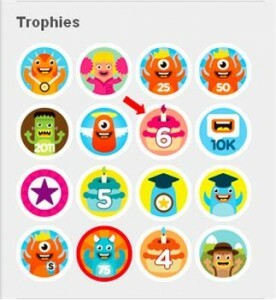 Here’s a pic of the new 6 year trophy that appeared on my Squidoo bio page last night. I’m not sure if that’s a cake or a cupcake. My Squidoo journey started as an experiment. I had no idea that I’d stick with it for six years. But I’ve had fun building lenses and learned a lot along the way. Making a little money helps, too. I wouldn’t have been able to invest this much of my time on Squidoo if not for the money. Speaking of money, did you know that when Squidoo came out of beta, lenses made about 25 cents per month from the ad pool? That was before the pay tiers were added. Now, a top tier lens gets over $50 from the ad pool payout. So Squidoo has grown at a strong rate. I’m looking forward to being part of Squidoo’s continued growth for (hopefully) many more years. I was also reminded yesterday of how strong and helpful the Squidoo community is. That’s something that I’m glad has been a part of Squidoo since the early days. To everyone who’s ever rated, liked, lens rolled, blessed, commented on, shared or just visited one of my lenses in the last six years…Thank You! Winter is a good time to start planning your garden. There’s a long list of things to decide. What kind of flowers or vegetables to plant, where to plant them, when to plant them and where the toads will live are a few. You read that last one right. 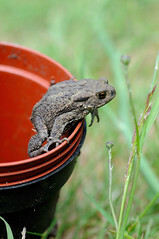 Toads like to eat critters that eat your plants, so encourage them to hang out in your garden. How do you do that? Read AnthonyAltorenna‘s DIY lens on how to build a toad house. It covers all the steps and material needed to build one for your garden. He’s included photos of his own toad houses and helpful info about toads. I think it’s also the first lens I’ve seen that mentions using wampum. It’s a good, easy to follow how to guide on an unusual topic. Perfect combination for a Squidoo lens. Making one of these sounds like a good project for the kids, too. I’ve got an old cracked terracotta pot that I’m sure my kids would love to decorate and turn into a toad house. Thanks for the idea and info, Anthony! Image credit: champmankj75, used under Creative Commons License. New lens production was way down last year with only 8 new lenses. That’s not good and well below my career average of 1.5 new lenses per month. My Squidoo revenue grew 31% in 2011. Nothing like the 150% revenue growth in 2010, but still healthy. That figure only includes payouts from Squidoo, not outside affiliate programs (which are also growing). I started Lens Harbor, the blog you’re reading now, to share my Squidoo experiences and knowledge. This is my first self hosted blog and I’m excited about it. I hope you find it helpful in your Squidoo journey. Along with many other Giant Squids, I also became a Squid Angel, covering the Fantasy Sports neighborhood. 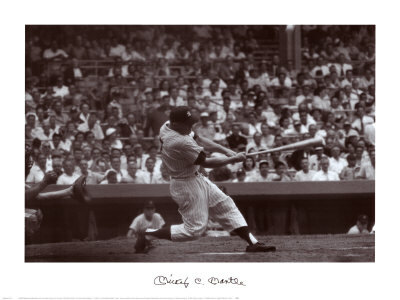 A nice surprise at the end of 2011 was learning that one of my lenses was mentioned in a New York Times blog post! Never underestimate the value of writing good content. 1. Have a total of 120 lenses by end of the year. I’m at 96 now so this means an average of two new lenses per month. It’ll be a challenge but it’s realistic and necessary to kickstart my lens building. A by product of this goal should also be earning Giant Squid 100 status during the year. Higher than last year’s growth but lower than my best year. It’s a reasonable growth target that I’ll hopefully exceed through a combination of more lenses, better promotion, overhauling some old neglected lenses and focused selling. When I started this blog, my plan was a post a week, not counting lens launches. That’s only happened in the first month. So two posts a month may be a more realistic goal for me since I also want to crank up my lens building. I have some cool ideas for this site and I’m looking forward to making them happen! Have a fun and prosperous 2012! Image Credit: simminch, used under Creative Commons License. Two new lenses launched from the harbor in time to catch the last tide of 2011. 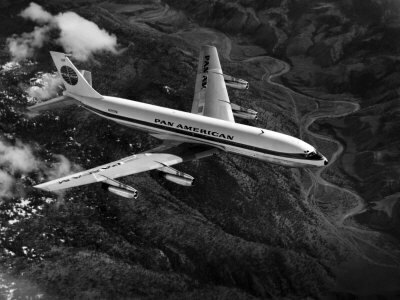 The first is a book review of Jet Age: The Comet, the 707 and the Race to Shrink the World. The book covers the true story of the race to start flying jet powered airliners after World War II. It’s a great overview of the history of commercial aviation up to the early part of the Jet Age. For readers who want to learn more, the lens includes some cool old videos I found featuring the Comet and 707, the two main aircraft in the book. This season I won my second fantasy football championship! Unfortunately, that league doesn’t give its winner a trophy. For fantasy leagues that do, I put together a selection of fantasy football trophies. There are even some funny gag trophies for the losingest team. These two bring my total to 96 featured lenses. I’m slowly getting to 100.